Four million Australians have bladder control problems at some point in their lives. A further one million have poor bowel control. Our experienced staff can assist you discreetly with product selection and any concerns you may have. You'll save on our large range of continence products AND we offer free delivery of bulk orders. 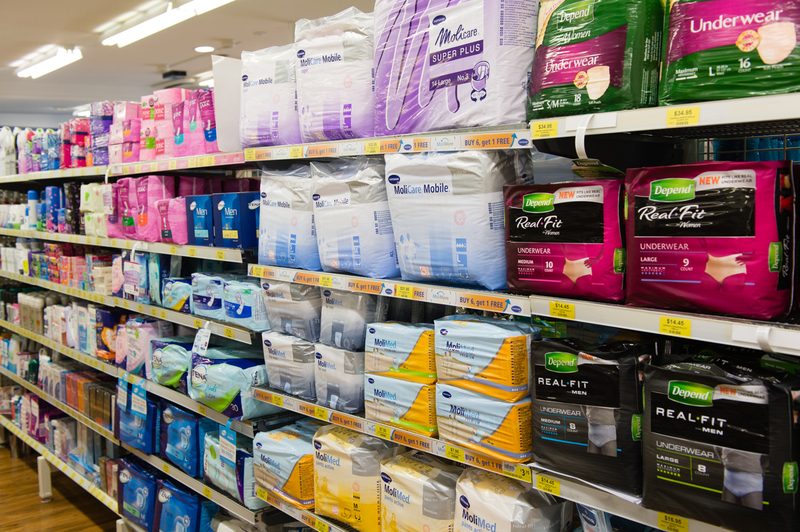 We can also assist you in applying for the Continence Aids Payment Scheme (CAPS), where you can receive up to $572.30 a year for continence products. Ask us for more information today. We can also supply urinary catheters, please ask our staff. Our staff can assist with bedwetting issues. 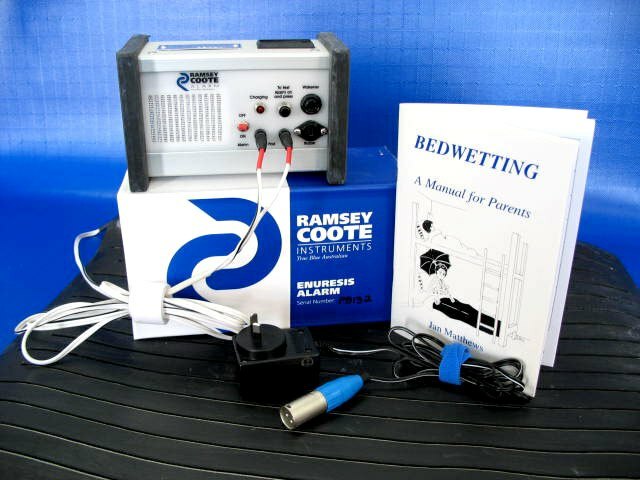 We hire the Ramsey Coote alarm and bed-pad system and we sell an inexpensive bedwetting alarm system. The Ramsey Coote Instruments’ product has an alarm control unit and this is attached to a bed-pad. The bed-pad is situated so that the child’s bottom is resting on it while they are asleep. It has been designed so that the urine goes into the grooves of the pad and a minimum of a tablespoon of urine will set off the alarm once it hits the sensors in the pad.